With the increasing incidents of piracy attacks taking place, it is necessary to have a global picture of these piracy attacks. 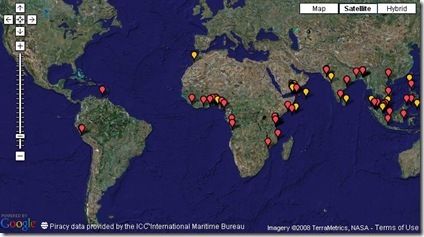 Here is the live piracy attack map of 2008 from International Maritime Bureau. Click the map below for more details. In addition Weekly Piracy Report is available here.